The country’s largest education technology conference took place in Denver this past week and I was excited to be there! Nearly 20,000 k-12 educators, university professors, students, reporters, and ed tech company representatives gathered to explore how technology can be used to transform learning. People and ideas were in constant motion. Wide-eyed educators were everywhere and ready to take in as much as possible when it came to applying technology to innovate learning. I’ve been to a lot of conferences, but none quite like this! 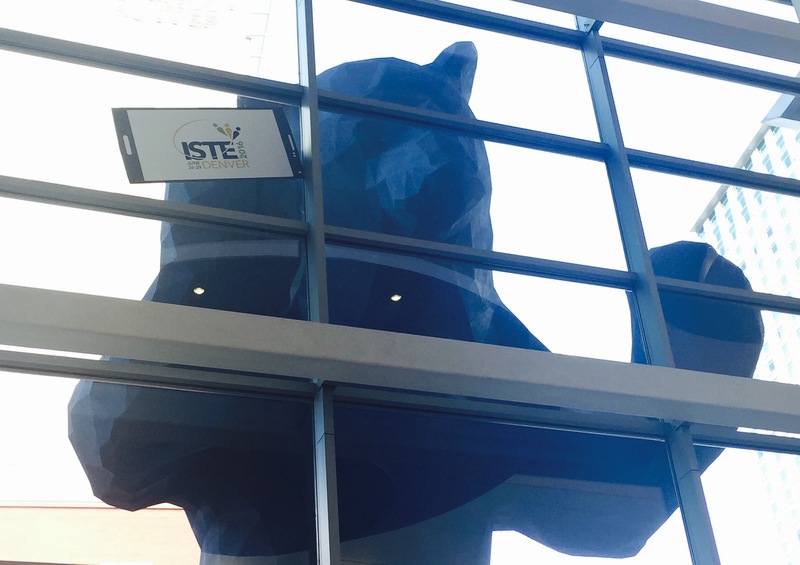 The ISTE 2016 conference was jam packed with opportunities for learning and building, and it was clear that educators had created their own personalized learning plans to make the most of it. Attendees filled session rooms, gathered around poster presenters, spent time in makerspaces, and connected with companies in the expo hall to discover new ways to use educational technology to enhance learning and engage their students. Interactive sessions covered topics from shaping learning spaces to the latest gizmos and gadgets – many of them with lines out the door! Digital playgrounds and makerspaces invited hands on learning with everything from 3D printing to robots and Raspberry Pi’s. Powerful speakers like Dr. Michio Kaku and Ruha Benjamin challenged conference participants to think differently and more boldly about the intersections of technology, education and society. 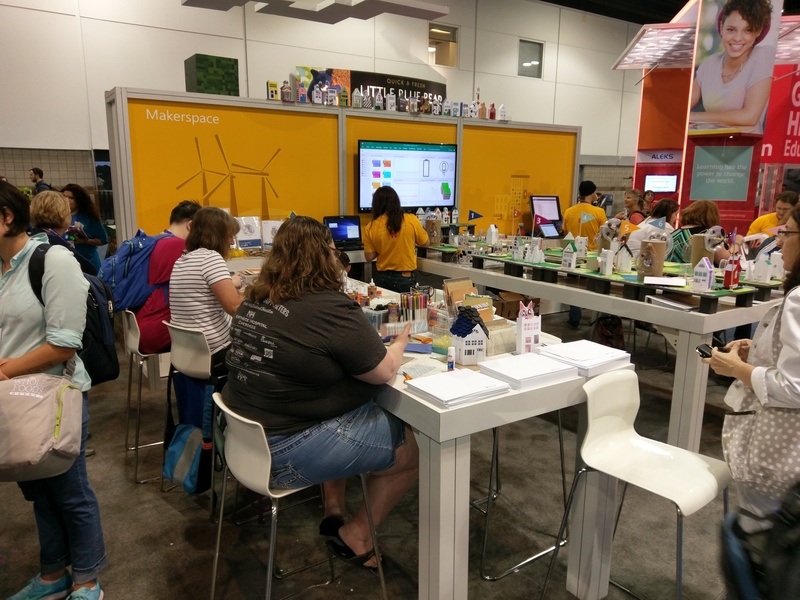 Digital citizenship, making, project-based learning, and emerging tech trends all had strong showings at ISTE 2016. (Jason Ohler’s session ‘Five Trends that Bend’ was a big hit! Here is the slide deck.) Other trending topics included designing innovative learning environments, approaches for collaboration and communication, and utilizing online tools and resources. Virtual reality also had a big presence. Samsung released a survey during the conference revealing that 93 percent of teachers feel their students would be excited to use virtual reality, and 83 percent believe it can help improve learning outcomes — from better understanding of academic concepts to increased engagement and collaboration. Amazing! According to the study, the top three subjects teachers think can benefit from virtual reality are: science (82 percent), social studies (81 percent) and history (81 percent). Given those numbers, it’s no surprise that dozens of sessions focused on the emerging technology. One of my favorites was a session led by Hall Davidson from Discovery Education on the 3R’s – QR (quick response), AR (augmented reality), and VR (virtual reality). Here’s the slide deck full of ideas and resources. It was inspiring to see so many educators on a common journey to innovate learning and powerful to witness how much technology is being developed or applied to advance education. If you’re in Kansas City and interested in using virtual reality in your learning space, join us and KCVR for a VR Hackathon July 15-17. Stay tuned for information on the next round of funding opportunities through the Gigabit Community Fund to support hi-tech technologies for learning in Austin, Chattanooga, and Kansas City. Learn more about Mozilla’s tools and resources for teaching web literacy.